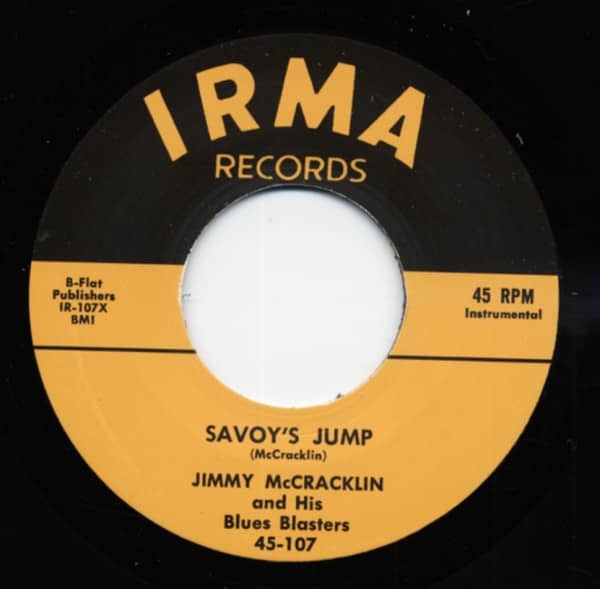 Unlike a lot of his blues-singing contemporaries, piano-pounding Jimmy McCracklin managed to roll with the punches when it came to musical trends and stayed modern when so many others fell by the wayside. He's cited both Helena, Arkansas and St. Louis as a birthplace, and for years swore he was a decade younger than his August 13, 1921 birthdate. There's no doubt about the massiveness of McCracklin's catalog: He's recorded for a daunting array of labels. Pre-war pianist Walter Davis was one of his heroes growing up. "I was in St. Louis, Missouri, and I used to listen to Walter Davis. He was a good friend of my father's. I loved to see that guy sing," he says. "That's where I got started messin' with the blues, listening to him." Boxing was Jimmy's passion prior to an auto wreck. "I hurt my shoulder, got kind of knocked around, got cut around the eyes. So the doctor just advised me to get into something else," he says. When he got out of the Navy after World War II in California, McCracklin began recording in 1945 for tiny local labels, later barely acknowledging these sides' existence. "I didn't even know how to regular sing," McCracklin says. "I was just trying to get into the business." Living in the Bay Area, McCracklin grew sufficiently confident on piano to front his own Blues Blasters with Kansas-born guitarist Robert Kelton and drummer Little Red. He started cutting for Oakland producer Bob Geddins in 1947. "I just had got out of the service, and I was trying to sing. So I happened to meet Bob," said Jimmy. 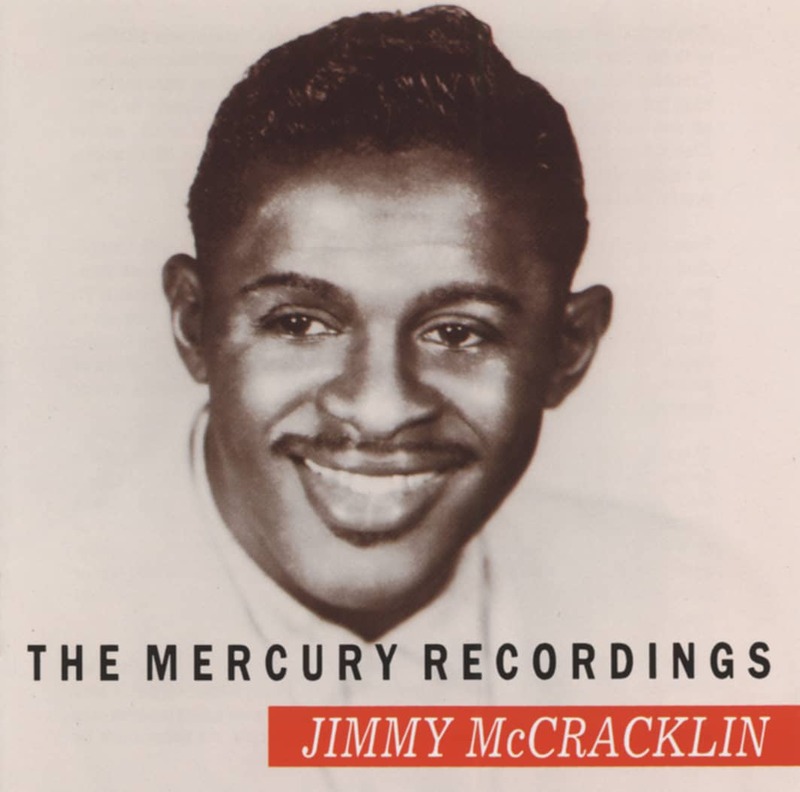 By 1949, McCracklin and his Blues Blasters were on Modern in L.A. The scorching Rockin' All Day was cut October 10 of that year with Kelton and young guitarist Lafayette Thomas dueling it out (saxist Earl Brown and Little Red round out the cast). Over the years, it's become known as Reelin' And Rockin' Twist after being mistitled as such on Crown's 'Twist With Jimmy McCracklin' LP. Jimmy shared writers' credit with Modern boss Jules Bihari (as Jules Taub). A raft of subsequent sides on Modern, Swing Time, Peacock, and Premium predated McCracklin's breakthrough '58 dance hit The Walk for Checker, which he produced himself. "I walked around Chicago for a couple of weeks with 'The Walk' in my arms, trying to get some of them companies to accept it," says Jimmy. "All them people turned me down. So I went to Chess. He said, 'Well, come back. I'll listen to it tomorrow.' I go back tomorrow, it took about three or four days before he'd even accept listening to it. When I left it, then I had to leave town a day or so after. A couple of days later, I heard it on the radio." Jimmy's Just Got To Know was a '61 smash on his own Art-Tone logo. He scored big again in '65 with Think for Imperial, remaining musically active right into the new millennium and then some. "You write a song according to your life. I've lived all these things," says Jimmy. "If you're born with a silver spoon in your mouth, you'll never know how to write a song, because you've never had no problems. But when you come up and you've had problems and stuff like that, it makes you write good songs." Customer evaluation for "Savoy's Jump b-w I'm The One 7inch, 45rpm"